It is increasingly apparent that insiders working carelessly and in ignorance of security concerns are a major source of security breaches in IT. Most data security is a result of a patchwork of systems which may contain gaps and does not protect against malicious insider data theft. The solution to complete data security is provided by a digital rights management system. Traditional data security systems are not designed to protect against internal theft and misuse of confidential documents and data. 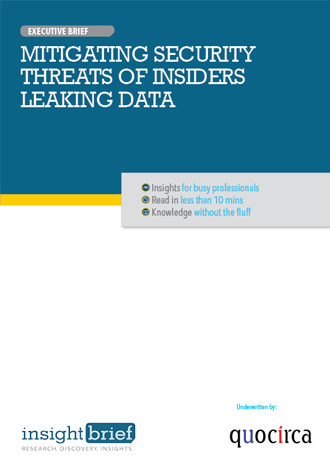 More than half the actual data loss of a business may be due to the actions of insiders. Personal use of cloud document storage and the proliferation of devices through which data is accessed have raised concern about insider culpability in data security breaches. A DRM or digital management system is designed to prevent insider inadvertent and malicious misuse of data.